Canadian singer-songwriter Lennon Stella released the music video for her latest single B*tch on Thursday, 21 March 2019. 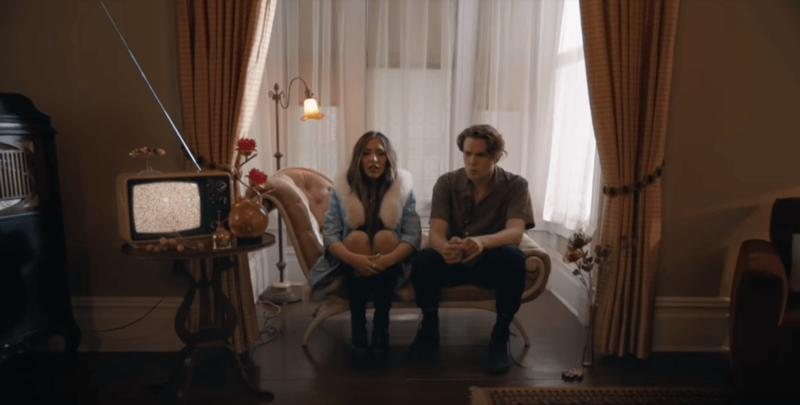 The cinematic music video, directed by well-known film director Drew Kirsch, shows the 19-year-old singer being followed through a lavish party, which also shows her verbally abusive boyfriend initiating a confrontation with her. The visuals show Stella in extravagant ensembles that change as she enters each room, whilst subtitles which reveal her judgmental thoughts about her guests are seen at the bottom of the screen. Internationally acclaimed dancer Maddie Ziegler makes a cameo in the theatrical music video as one of her posh guests. Watch the B*tch music video below.